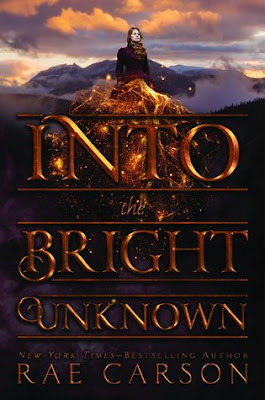 Into the Bright Unknown by Rae Carson was another of my most anticipated releases for 2017, and with good reason! I've been waiting for over a year to get my hands on this book, and now that I've read, and LOVED it, I feel complete closure now that the series has come to an end. 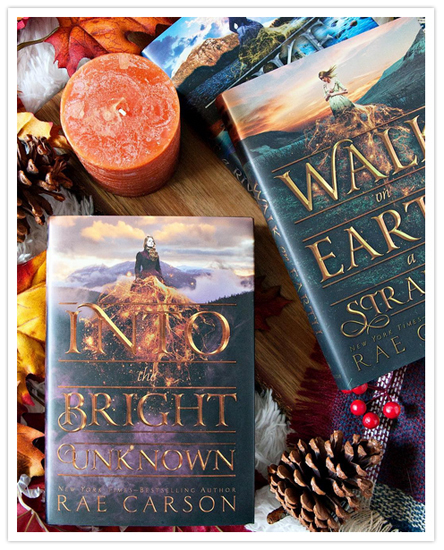 I had the pleasure of re-reading the first two books, Walk On Earth a Stranger and Like a River Glorious, over the past two months while waiting for this book to release, so the story was super fresh in my mind when I finally started Into the Bright Unknown. I don't get often have the chance to re-read a series before the next book is released, but I've been doing it more often lately, and I've really enjoyed diving back into my favorite series again! The Gold Seer trilogy is no exception. There's so much I love about this series, even though some things make me want to rage, but I can't say I've ever read anything like this series before, and it's definitely a favorite of mine. There are so many characters to love in the book, including the main character, Leah (Lee) Westfall. She was such a strong character from the start, and I really enjoyed watching her character grow even more over the course of the story. I also loved all the people that traveled across the country with her as well, or, should I say, the ones that stuck with her through it all, at least. These people were so much more than friends; they are family. And they are the best kind of family; the ones you get to choose yourself. I love them all, and especially Jefferson!! Overall; I have really enjoyed this series so much, and I absolutely hate to see it come to an end. This third book in the series does give me a bit of closure though. I'll definitely be re-reading this series again in the future! If you've not yet picked up the Gold Seer trilogy by Rae Carson, I highly recommend that you do so! It's a unique and fast paced historical story that I just know you'll enjoy. Check it out soon!